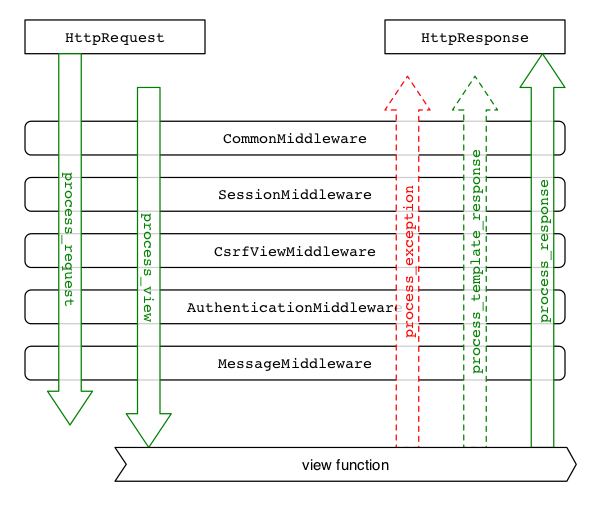 The order where you place your middleware in settings.py is important: middlewares are processed from top to bottom during a request and from bottom to top during a response. Please don't care about how I calculated the time. I'm aware that there are better ways to do it, but I just wanted to keep it simple and show how to implement a simple middleware. The important thing to notice is that you have to store all the images in a GtkListStore and pass it to the GtkIconView as "model" parameter. I hope this example is clear. If you have any question, please comment this post and I'll try to answer.